There were 651 press releases posted in the last 24 hours and 153,496 in the last 365 days. 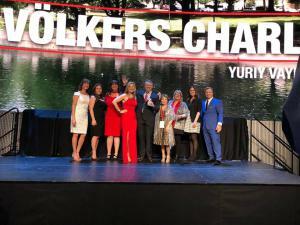 Cohn, Delozier, Johnson, Oporta, Wiley, Volz and Volz become the newest advisors of Engel & Völkers Charlotte which has grown exponentially since 2015. 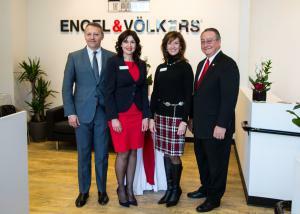 CHARLOTTE, NORTH CAROLINA, USA, October 29, 2018 /EINPresswire.com/ -- Engel & Völkers Charlotte today announced that Cathy Cohn, Karen Delozier, Jenny Johnson, Dennis Oporta, Royallen Wiley, Amie Volz and Susan Volz will join its shop as Real Estate Advisors, dedicated to serving the specialized, residential property needs within the area. These advisors join the prestigious company with an outstanding professional history, including previous positions at other real estate brands in the area. Since its beginning in 1977 as a specialty boutique providing exclusive, high-end real estate services in Hamburg, Germany, Engel & Völkers has become one of the world’s leading companies specializing in the sale and lease of premium residential and commercial property, yachts and private aviation. Engel & Völkers currently operates a global network of over 10,000 real estate advisors in more than 800 brokerages spanning 34 countries across four continents, offering both private and institutional clients a professionally tailored range of luxury services. It established its North America corporate headquarters in 2007 and opened its first brokerage in the same year. 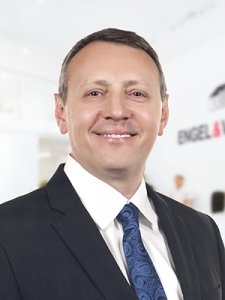 Committed to exceptional service, Engel & Völkers supports its advisors with an array of premium quality business services; marketing programs and tools; multiple platforms for mobile, social and web; as well as access to its global network of real estate professionals, property listings and market data. Engel & Völkers is an active supporter of the Fair Housing Act and the Equal Opportunity Act. Each brokerage is independently owned and operated.